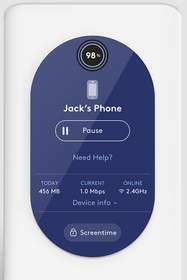 NEW YORK, NY--(Marketwired - Oct 3, 2016) - Starry, Inc., a technology company revolutionizing how consumers experience the internet, today announced that it will launch a new set of parental control features on its Starry Station Wi-Fi hub on October 12. 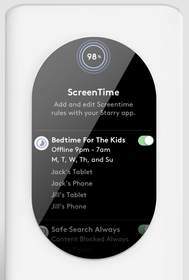 ScreenTime 2.0 enhances the Starry Station's already robust parental controls by adding content filtering and blocking for apps and web domains, the ability to "pause" the internet for specific devices and create custom rules tailored to each connected device. Starry Station's new parental controls provide an easier way to manage kids' online activities by centralizing all the controls at the network level -- eliminating the need for parents to purchase and install separate and often confusing "parental control" applications or other software. 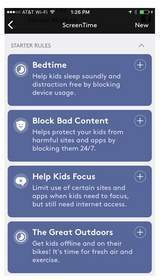 Bedtime: Help kids sleep soundly and distraction free by blocking device usage. Block Bad Content: Protect your kids from harmful sites and apps by blocking them 24/7. Help Kids Focus: Limit use of certain sites and apps when kids need to focus but still need internet access, like homework time. The Great Outdoors: Get kids offline and outside! Set rules for when it's time for fresh air and outdoor activities. The new features update will also enable the Station to automatically identify and categorize what devices are connected to your network, by displaying icons for each device on its interactive 3.8" capacitive touchscreen. "At Starry, our mission is to make internet access simple. 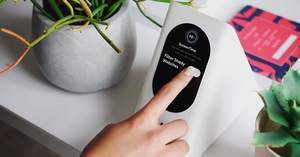 But for parents, helping your kids navigate the internet safely is the number one priority and choosing what 'parental control' tools to use can feel overwhelming and stressful," said Alex Moullé-Berteaux, Starry Chief Marketing Officer. "With the Starry Station, we are offering parents a centralized and easy-to-use solution to make the internet safer for their kids. Current parental control tools are fragmented and often require parents to use more than one solution to 'plug the holes.' Starry Station eliminates that by deploying parental controls at the network level and making them accessible with a tap on the touchscreen or app. As a parent of three children, I'm personally excited to roll out these new features which will not only help monitor and manage my own kids' time online, but also offer adults an easy way to "pause" our own internet usage when we need to unplug." Starry Station's additional features include the ability to proactively identify issues with your internet performance and suggest ways to fix them through Notifications surfaced through its ambient touchscreen. The Station is also equipped with a full internet health monitoring system and built-in persistent auto-speed test, Activity Map and Device Finder and customer support assistance available at a tap. Starry Station is built with a dual radio that is 802.15 ready for future IoT features and has the ability to support a wide range of connected devices in your home or business. The Starry Station retails at $299.99 and is available for sale on Amazon.com, Best Buy and B&H. At Starry, Inc., we believe the future is wireless. Connecting people and things to high-speed, broadband internet should be simple, effortless and affordable. Starry is re-imagining broadband access by developing an ecosystem of products designed to simplify and improve your connected life. Utilizing millimeter waves as an alternative to fixed wireline broadband, Starry is deploying a point to multipoint system using the world's first active phased array for consumer IP communications capable of achieving speeds of one gigabit of internet service -- wirelessly and at a fraction of the cost of traditional broadband. And, with self-installation, broadband access and expansion is simplified further for the consumer. Starry is a better, more affordable way of connecting to the internet. Based in Boston and New York City, Starry is backed by world-class investors and led by the former executives of Aereo, the groundbreaking online television platform. To learn more about Starry, visit: Starry.com.